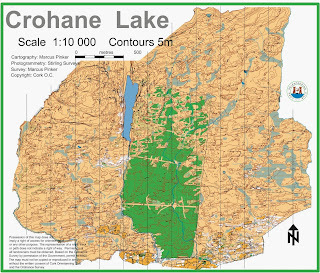 Cork Orienteering Club are delighted to invite you to take part in the Munster League #4 event at Crohane Lake, next Sunday April 13th. This area was used for the 1998 World Cup Qualification Races and more recently at last years Shamrock O-Ringen. It is typical West Cork/Kerry open mountain with intricate contour detail providing a fantastic opportunity to practice on this type of terrain for the upcoming Irish Championships. The courses will be solely in the open terrain on the Western half as shown on the original map left. 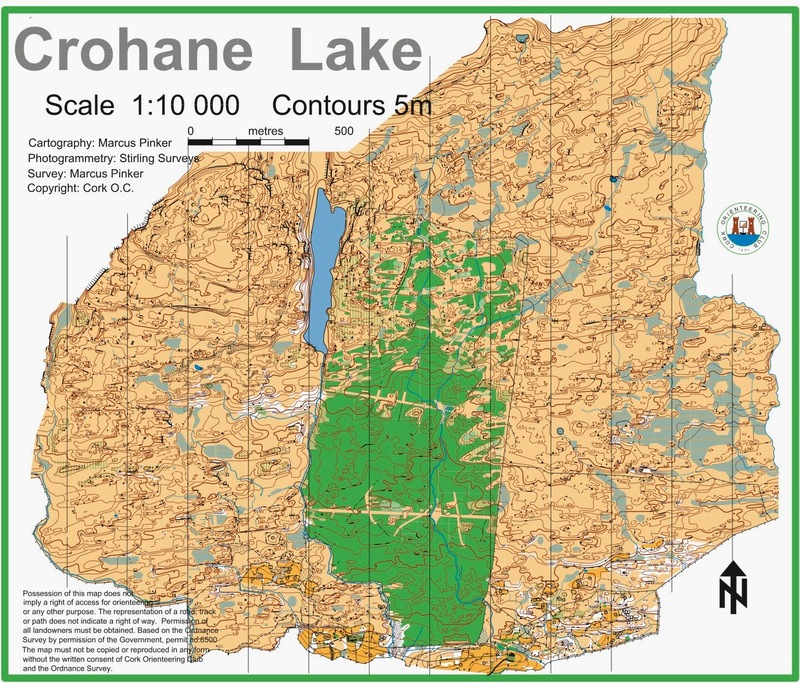 Map used on Sunday will be the 2013 SOR map. Registration and download will be in the parking area. Loose control descriptions will be provided at registration and they will also be on the map. Courses Close at 2:30pm, controls will be collected at this time. Map scale 1:10000, contour interval 5m, SPORTIdent punching. Please let us know by w/e if you're bringing a group. Travel along the N22 (Cork-Killarney road) and take the turn-off for Kenmare at Poulgorm bridge (5km from Glenflesk, or 20km from Ballyvourney). Continue 6km along this road (R569) and turn right on to the forest road at the Ros An Croo Na Loo acr park (bend), follow direction signs along forest road to park on one side of this forest road.